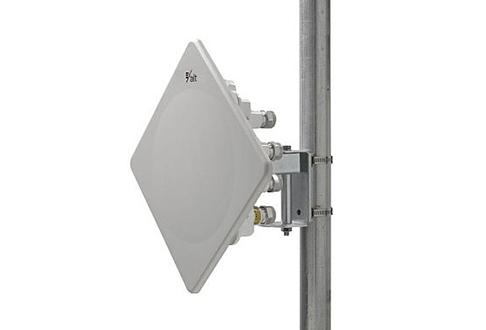 All-outdoor networks can benefit from the ExtendAir systems with top speeds, a variety of errorless modulation options, strict security features, and support for single-unit sparing in all bands. The Exalt ExtendAir platform serves as an entry-level option for microwave radios that still supports high-end performance requirements for today’s data networking applications. Each option contains leading network security tools and range capabilities support, with a focus on connectivity and backhaul. Today, carriers, enterprises, service providers, government groups and agencies are deploying Exalt ExtendAir all-outdoor systems. Worldwide Supply helps these groups deliver top-quality networking and connectivity through a line of fully tested and approved refurbished Exalt ExtendAir radios. Eliminate cabling, external switches, leased line expenses and more with a full 100 Mbps system that delivers flexible management, spectrum analysis, multiple security protocols, native Ethernet, support for native TDM, 3×10/100 Base T configurations and multiple data networking tools. Purchase the first radios in the 4.9 GHz and 5 GHz categories that were designed for high-performance LOS point-to-point operations for a simple, direct and effective network build. It’s an affordable way to have a healthy network. Support these uses and more when you add a complete line of used Exalt ExtendAir outdoor radios to boost your backhaul and deliver leading connectivity for your mission-critical applications.